Football management has become too brutal and cut-throat of a profession to have room for sentimentalism. And yet if Bradford City prove to be successful in winning promotion this season, it will be laced with romance and symbolism. 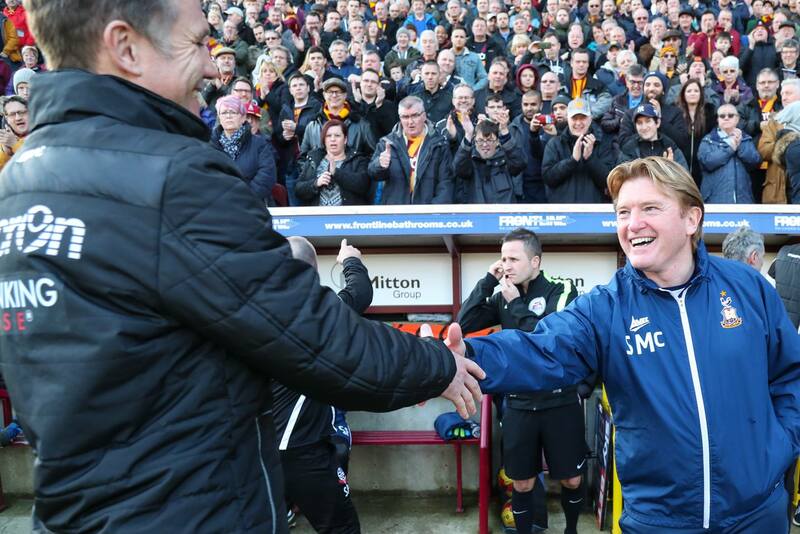 No one is ever bigger than the club, but Stuart McCall is as close as they come. 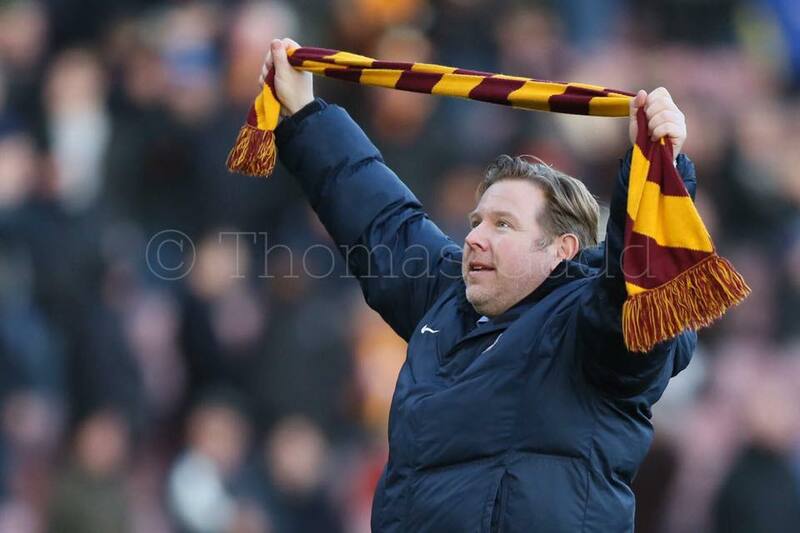 The bond that binds Bradford City and McCall together runs deeper than your typical football club legend. The mutual love and respect between supporters and the player is enduring and crosses over generations. At Valley Parade, McCall turned from boy to man. He played a starring role in the highest of the highs, and alongside supporters felt the lowest of low moments. His own father was injured during the Fire disaster. He shows up every year for the memorial service. In the 80s he outgrew the club in terms of his on-the-field ability, but in the 90s returned to lead City to top flight football for the first time in 77 years. 10 years service as a player, 395 appearances, two promotions. He saw tragedy and triumph. Always giving everything to the cause. Never giving up. A class act, who represented the club with great courage, skill and dignity. Stuart McCall was the best of the Bradford City best. 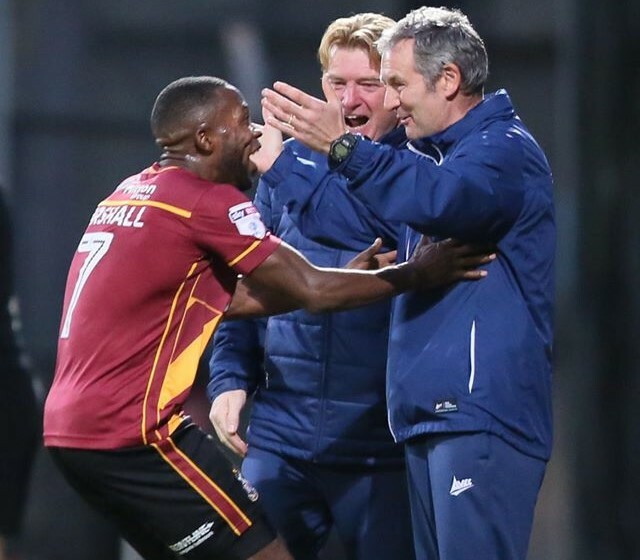 And now McCall is tantalisingly close to further increasing his legend status, and writing a glorious new chapter in his 37-year association with Bradford City. A third McCall-Bradford City promotion would be even more special, given it would bring an end to the club’s 13-year sentence in the bottom two divisions. Over the next month, McCall could restore Bradford City back to what we supporters widely consider to be our natural level. A full recovery from the financial abyss of 2002-2004. It would come at a time when loyalty and sentimentality is firmly dying in football management. 2017 is already the year that Claudio Ranieri was harshly booted out of the Premier League’s most unlikely champions, Leicester City, and where Arsene Wenger’s 20-year reign as Arsenal manager increasingly heads towards a bitter ending. 49 managers have lost their jobs this season, 66 departed the year before. Football managers are expendable, replaceable and quickly forgotten. At clubs up and down the land, legends are increasingly employed to entertain corporate guests on matchdays – not take the team. Stuart McCall and City are bucking that trend. When he first accepted the chance to manage the Bantams a decade ago, it was almost a marketing ploy to sell cheap season tickets. Geared more towards improving the morale around Valley Parade than winning football matches. McCall typically gave it his all, but inexperienced, over-emotional and drained, he was unable to deliver success and fell on his sword. Amazingly that opportunity arose last summer to have another crack. This time around, McCall has been a vital part in reaffirming the heart of Bradford City at a time of huge change. New owners from another country, who unexpectedly found they had to replace a hugely successful manager and his coaching staff. McCall represented a clear link to Bradford City’s heritage. A man who understood the fabric of the club better than anyone. Edin Rahic and Stefan Rupp didn’t know him, but a three-hour meeting at Leeds-Bradford airport convinced them he was the man to lead the team in this new era. McCall said at his press conference unveiling, “It’s a perfect fit for me. The last time I was here, it certainly wasn’t a perfect fit. But it is now. I don’t like to keep looking back, but the last time I was here, the club had just dropped into the bottom division. It helped that the club is so different this time around. In his first spell McCall inherited just eight players, but found their wages accounted for 50% of his entire playing budget. He was backed well in the transfer market during his second season, but voluntarily took a pay cut when success wasn’t immediate, and was left having to recruit players on lower wages than they paid in the Co-op. 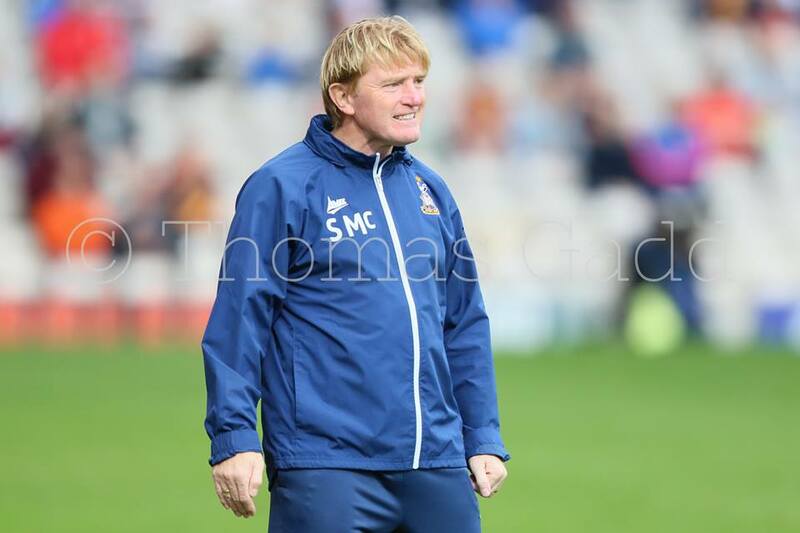 As James Mason reflected on the club’s subsequent transformation, “Bradford City is a very different club to the one Stuart first managed and clearly he is a different, far more experienced manager today. Returning once again could have failed miserably. It still might not have the Hollywood-style ending. But there’s no doubt the owners have been vindicated for their choice of manager. Under Parkinson, City were a largely united football club with a fanbase largely bought into what the manager was trying to achieve. And though the managerial merry-go-round within English football was turning at an ever-increasing pace, at Valley Parade the virtues of sticking with someone had been proven repeatedly through Parkinson’s success. They had different options last summer, other directions they could have taken. Uwe Rosler, who has gone onto achieve amazing success with Fleetwood this season, was said to be in the frame and had acted as an advisor to the pair during the takeover talks. However it would have looked contrived and spawn endless conspiracy theories had Rosler been given the job. Steve Evans threw his hat into the ring, and Neil Redfearn was also interviewed. In contrast to McCall, Evans was at the opposite end to the spectrum. A widely disliked, ultra-pragmatic manager; hated with good reason around Valley Parade, but a proven winner with a strong track record. Evans looked far more likely to deliver success than McCall, but it’s how you go about things that matters too. McCall’s greatest strength since taking charge has been the vision he has presented of doing things in a better way than even Parkinson managed. 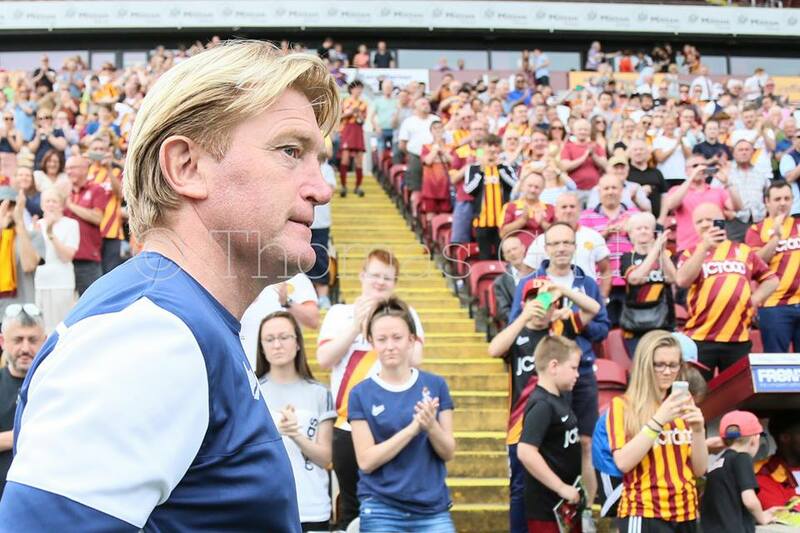 The 2015/16 season was on paper City’s most successful season since McCall himself was captaining the Bantams to promotion to the Premier League; but the extreme brand of pragmatism that Parkinson employed tempered the enjoyment. Winning should never feel boring, yet there were plenty of games last season where City won but you still went home feeling flat. The destination was more important than the journey. That ultimately hasn’t really changed this time around, but McCall has successfully been able to instil a far more attractive way of playing football. He’s tried to marry up the Parkinson grit and spirit with a more adventurous, brave approach. 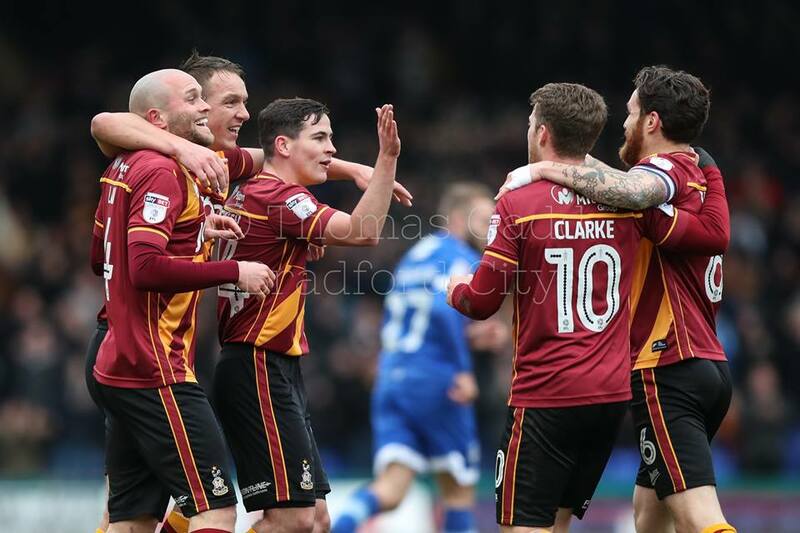 It has proven to be a terrific watch, with the players embracing their greater freedom whilst retaining the high work-rate and commitment that Parkinson brought to Valley Parade. Back in McCall’s first spell, there wasn’t any great revolutionary tactics. He liked to have his team playing open, attacking football, but for the first two years stuck with a rigid 4-4-2. Innovation was limited to moving to a 4-3-3 at the start of year three. This time around, McCall tried out more different systems in his first four games than during the whole of his first tenure. His time away from Valley Parade, managing Motherwell, Rangers and assisting with the Scotland team, furthered both his education and his confidence. There is an argument that he can overdo it. That sometimes it might have paid to have kept things more simple. But the level of sophistication and flexibility demonstrates just what an excellent coach McCall has become. It would have been easy to envisage the players going out onto the field struggling to understand the way in which they are being asked to play; yet by and large they have looked well organised and bought into what their manager wants them to do. McCall has made them look better footballers. The early flag bearers for this new outlook were Billy Clarke, Nicky Law, Romain Vincelot and James Meredith, who embraced McCall’s methods and led others. Josh Cullen, Mark Marshall and Tony McMahon have grown into the changing culture too. These seven players in particular have proven they can adapt to different roles even mid-game. That has been really important. What’s particularly striking is to compare the results of this season’s approach with last season’s record under Parkinson. With one game of the 46 to go, McCall’s side are going to have won fewer matches (20 vs 23) than Parkinson’s charges, but lost less often (7 vs 12). Their Goals For record is six better (61 vs 55) and their Goals Against only slightly worse (42 vs 40). Goal difference is remarkably similar (19 vs 15), as is the points tally – a win over Rochdale on Sunday will mean McCall’s side finish on 81 points, one above Parkinson’s 80. The methods are completely different, but the results are largely the same. Yet there’s a theory – which most of us, the coaching staff included, subscribe to – that City have slightly underachieved this season. That if only three of those 18 draws had been converted into wins, a top two finish could have been realised. If anything, it should be a compliment to McCall. Whatever happens in the play offs, this team has further to go. The glass ceiling is yet to be hit on what can ultimately be achieved. If McCall had been handed Parkinson’s entire team, this league performance would be respectable. The fact he, Greg Abbott and Rahic had to rebuild in very little time heightens the sense of achievement. McCall is the first to admit he inherited some excellent professionals who have set the standards for others; but he’s very quickly built on these strengths and firmly put his own stamp on the side. Even though some of Parkinson’s loyalist foot soldiers remain relevant, the landscape has shifted significantly. This is a Stuart McCall team, playing the Stuart McCall way. Which is not to say it is perfect. Some of McCall’s failings from his first spell in charge remain. Most notably is his reluctance to shut up shop and to reduce the level of risk taken in away games especially. Back in the 2008/09 season, when a promotion push went south during the final lap, there was an infamous game at a struggling Notts County where the Bantams were too gung ho, and the home side’s counter attack tactics saw them 3-0 up by half time. Watching this season’s Easter Monday hiding at Sheffield United, those failings were back again. The TV losses to Scunthorpe and Sheffield United – crucial games in the run-in, where victories would have put City into strong automatic promotion contention – were a clear case of McCall following that rallying cry. Parkinson would never have played in such an open, attack-minded manner – he’d have stuck men behind the ball, looked to counter and ultimately would have accepted a point. McCall is bold, he’s taking risks, and he has his owners’ backing to play in such a way. The major weakness of McCall last time around was channelling his huge passion for the club. He took defeats too personally, and his downbeat demeanour clearly transmitted to the players. A defeat would turn into two losses in a row, then three, and before long it was getting to seven or eight without a win. Seasons were wrecked when a calmer, greater sense of perspective from the manager could have diffused bumps in the road before they got too serious. One year ago, Parkinson failed to make the most of an excellent play off finish. His charges were beaten before the half time whistle of the first leg. They paid the price for an uncharacteristic set of defensive lapses, and went onto demonstrate their limitations when chasing a game. It’s going to be really interesting to see how McCall manages the club through the upcoming play off games. He has experience of managing them with Rangers – both winning and losing crucial games. His positive personality will have the players geared up in the dressing room, and his bold, adventurous approach will pose a threat to whoever City end up playing. We’re set for a thrilling, emotional finale to the season. If McCall can lead his club back to the Championship, it would prompt tears from grown men and women (or this writer at least). It would make for an incredible story if McCall can recover from his first spell in charge and mastermind an achievement to rival the glories he managed as a player. And if he doesn’t succeed this season, he’ll be capable of giving it another shot next year. McCall’s proven himself to be a worthy successor to Phil Parkinson. The club has not backwards in the way we feared when Parkinson jumped ship to Bolton, or struggled like some fans predicted upon the news McCall was coming home. 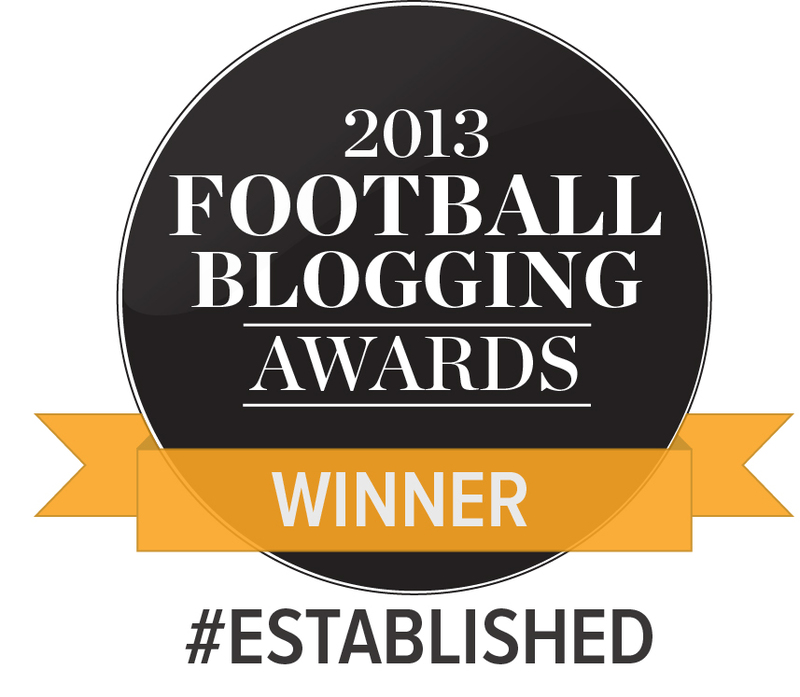 This has been a terrifically exciting season; a small but not insignificant step forwards on what came before it. McCall and his coaching team deserve huge credit for hitting the ground running and providing the leadership that was needed to continue this adventure. They had big shoes to fill, but have relished the challenge. There have been rumours Rahic/Rupp and McCall don’t see eye to eye and suggestions of a change of manager in the summer, but it’s hard to see why – beyond your everyday heat-of-the-moment disagreements passionate owners and managers have – there would be any rift. Changing manager would go against the Germans’ long-term philosophy and risk making them unpopular when they have built up trust for their ways. McCall might have been viewed as a sentimental appointment last summer, but this season he’s proved why he deserved another crack at managing this club. Providing the owners continue to believe he is the right man, there is no reason why he can’t enjoy a term in charge to rival Parkinson in length. So far, he is demonstrating that he could be the figurehead Rahic and Rupp need to take the club forward and towards turning their long-term Premier League dream into reality. This is part of a series. Stuart has been brilliant this season and I think have a experienced no.2 has helped as well. Im looking forward to the play offs and I believe we have the best squad of all 6 teams that can still contest them. My only concern is we are 0 from 2 on TV and all play-off games are on the box. I think Stuart should be given credit for Sheff United even though it went drastically wrong. A draw was no good for us in that game so he tried something different to get the win and give us a chance at automatics. It didn’t work but then very little has worked against Sheff United this year since the early part of the season and we were beaten by the best side I’ve seen at any time during our League 1 stint. Another great read, Jason. This series of yours is both educational, and entertaining, just a good book you can’t put down at 02.00 AM ! The owners wanted Stuart to employ more expansive tactics. Stuart was more than happy to oblige, and the players are showing every week, their enjoyment in adopting this. Ultimately for the fans, it has become a diet of Gourmet meals as opposed to the regular bowls of Gruel. Both satisfy a hunger, yet one is vastly enjoyable and appreciated. From the very top, all the way through – this team play without a fear of making a mistake. A team that plays well together, have belief, overcoming any setbacks. So very far to go, not just the remaining play offs, but beyond into the future. The foundations are well and truly in place, and building is still in progress. Whether City can get promotion this time or not remains to be seen. One thing I am sure about – Next season will be more exciting than this, whatever happens. If that thought can’t tickle anyone’s taste-buds, then perhaps enjoy ‘tiddly-winks’ as their chosen sport next year ? Jason another quality report to add to your catologue of superbly written articles. So for my tuppence worth….. Another playoff for City, that’s our 3rd in 5 years which is just incredible. How many other league teams can claim that too. All part of the Bantam progressiveness which is mirrored by our manager, chairmen, players but importantly fans. This togetherness is for me why we haven’t lost at home this season in the league. I think its been underplayed how significant an achievement this is. Also, to note League One will be a lot more tougher next year, you can see that with the teams who are coming up from League 2 and the those who are coming down. There could be 12+ teams who could realistically make a fist of challenging for promotion. If we remain in League 1 I’m sure we will also be stronger than this year too. Finally, one thing I’m going to try to do better this time is enjoy the PO experience, rather being a bag of nerves like last year. Another fantastic read, thank you Jason. Some would look across the Pennines and say that Parkinson has been more successful than McCall this season. However, I for one, have enjoyed our style of play this season far more than last season. Like you imply, the journey can be more important than the destination. Personally, I would like to see Daniel Devine given even more first team game time next season so that we don’t rely on season long loan players. Finally, well done to Stuart and Kenny on achieving amazing things in a short space of time. To go a whole season undefeated at Valley Parade is superb! If Stuart manages to get us promotion at Wembley i will be an emotional wreck, going up would be special but with McCall in charge? I’ve got a lump in my throat just thinking about it.